Tracking categories is a flexible feature for categorizing and labeling all kinds of records. It is a powerful reporting tool, to help you analyze data based on your specific business needs. Each tracking category is in fact a criterion that can be divided into individual options that group the data (record types) based on this criterion. 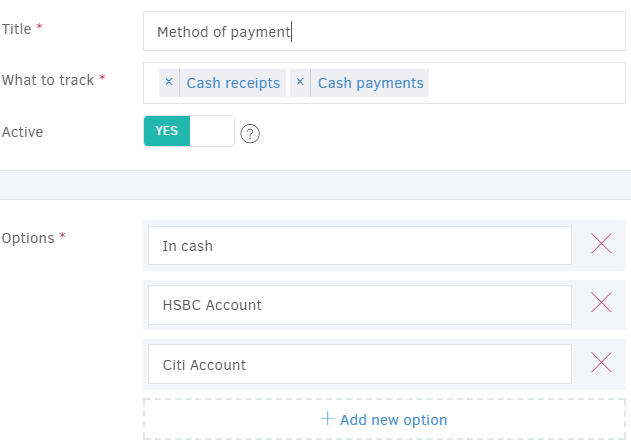 For example, payments you receive can be made in a number of ways (criterion: payment methods). These methods can be divided into various options such as cash, bank transfer etc (options). In order to create your own categorization criteria, from the main menu select "Settings -> Tracking categories -> Add". First, you should name the category you are about to create by filling in a Title. You will then have to specify which types of entries the tracking category will apply to. Sales. Applies to both invoices and credit notes. You will also find them in recurring invoice forms, so that the resulting invoices get automatically tagged. Purchases. Applies to both Bills and Supplier credit notes. You will also find them in recurring purchase forms, so that the resulting bills get automatically tagged. A tracking category defines a list of options, i.e. the possible tags that a record can take. In the Options field you can enter as many options as your company needs. But let's take a look at some examples that are very likely to be useful to you, regardless of your activity. > Always remember you can choose more than one tracking categories for the same record, as long as the tracking category applies to their type. A very useful categorization of records is based on the method of payment (purchases and / or sales). Depending on how the documents are paid, you can obtain useful reports. From the Settings menu, click Add and fill in the required fields. 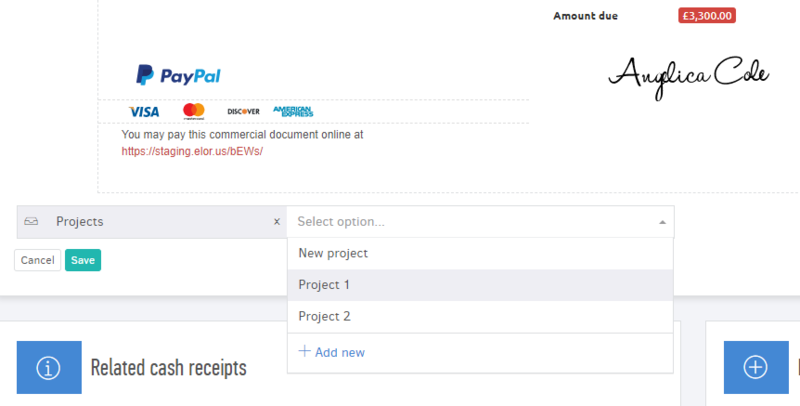 In the example below you can see how to classify records based on the payment / receipt method. 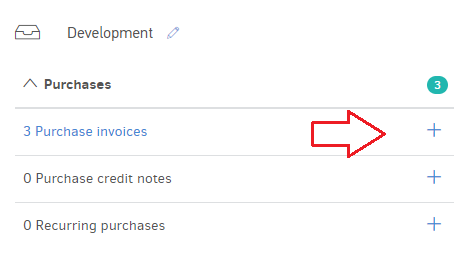 This way, you can view a report about which payments were made in cash or in various bank accounts that your company may have, once you assign records to these options. By clicking New option you are able to create as many options as you need. When your're done adding options, click Save. Another useful categorization of your records is based on your company's expenses type, so you can have control over your purchases, at any time. Here, you can create options such as development, marketing, and operating expenses. When creating this tracking category, the required fields will be similar to picture below. When creating / editing a record, you can set the tracking category you want it to follow. First, you need select the tracking category, then one of the options you divided it in and then click Save. You can assign a tracking category from each document's view page, after having saved it. After saving a category, you will see that the individual options now appear below it so you can assign records to them in bulk directly from its view page. 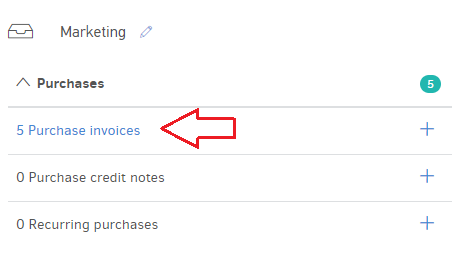 If you click on the record type of each option (here purchase records), you can choose to add records (+) so as to categorize them as appropriate. Check the box of each record you want to associate with that option and click Assign # to [option], found at the bottom of the window. Elorus will categorize the entries immediately which will disappear from the list of untracked records for this option. <Important> You cannot delete a tracking category if there are any records associated with it. In order to delete it you must first disassociate the records from the tracking category, by following the instructions given below. If, for some reason, you need to disassociate a record from a tracking categories, you can do so through the record's view page. 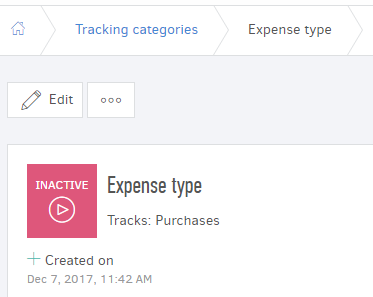 By clicking on Edit, then the (X) next to it and finally Save, the tracking category will no longer apply on that record. From the tracking category's view page select the option you wish to disassociate, click the arrow next to the record type, and the number of records that are assigned to it will appear. Then, click on the number of records and a window containing details about these records appears. Select the entries you wish to untrack from the list and click on Remove # from [option]. Every category can be disabled at any time, if you feel you no longer need it. From the tracking category view, you can select Active and you'll see that the button will be turned to Inactive. This means that this category will no longer appear as an option when assigning records from their view page. You can also enable / pause categories in bulk from the list inside tracking categories menu. 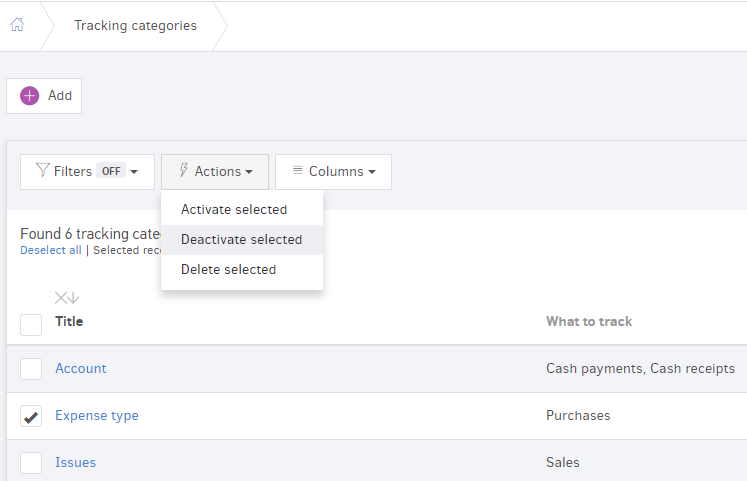 Just check the boxes of the tracking categories you wish and select Actions -> Activate or Deactivate selected. Once you have categorized your records, you get useful insights through the reporting section, both for the summary and the detail reports. The summary reports can help you monitor the distribution of amounts among the various category options. Given a type of records (e.g. invoices, purchase invoices etc. ), Elorus will generate a separate graphic chart for each tracking category applying to that type. Filtering. For each active tracking category, you can filter the report results by a specific category option (e.g. filter operational expenses only). Grouping. You can group results by any tracking category (e.g. 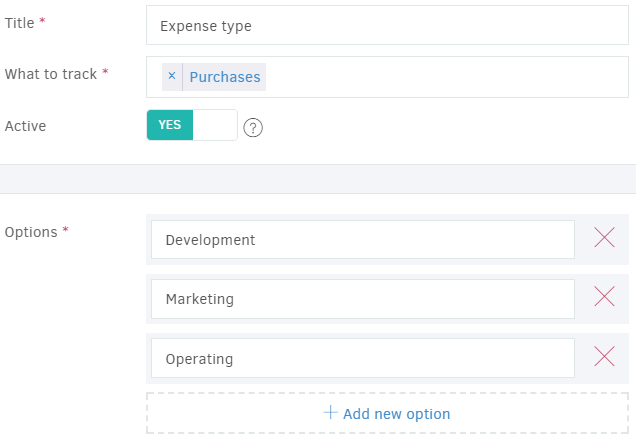 group by expense type) and view individual records and subtotals for each category option. Columns. For each tracking category, you can add a separate column in the report results. The column will display the category option associated with the corresponding record.